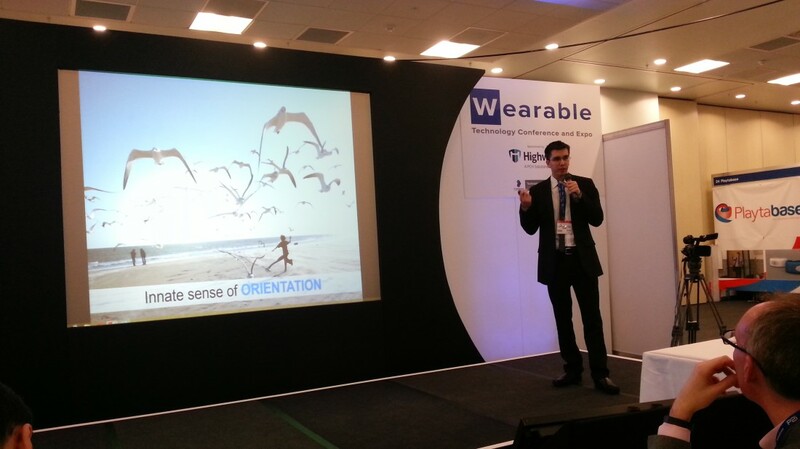 Sensovo was one of eight startups selected to pitch in the Wearable Technology Show 2014 which took place at the Olympia Conference centre London. The experience of presenting our company in such event was very satisfactory and we got very good feedback from the audience. We would like to congratulate Sentimoto for winning the prize of the competition and wish them the best in the near future. The expo included main companies in wearable technology like Samsung and Intel and many SMEs that presented their products. There is a great interest in sports and companies like Clothing+, Myontec, RaceYourself and Xensr work in such market. Some other devices go beyond our fitness and they want to track all our activities to cuantify our life. Companies working in such devices are Misfit Wearables and Fitbug. But the wearables that is catching most of the attention nowadays are the smartwatches. Samsung is leading the market with Galaxy Gear and Galaxy Fit which both run with Tizen OS., and Google has recently presented Android Wear, the Android version for smartwatches. Not so known companies like Burg and Flesky are also working hard in that direction. Finally, we would like to thank IC Tomorrow for giving the opportunity to present Sensovo in such big event. We believe that in the following years wearable technology is going to grow even more and Sensovo is going to be part of this new revolution.